Beachland Ballroom Archives - HGR Inc.
No, but I am passionate about music. What made you open a concert venue? I worked for music/record companies, including Decca which later became MCA, when I was 18 doing office/administrative work and was exposed to the business. I took orders from people like Michael Stanley for their record stores. I moved to the area because of the lake, rented for a while then bought a house on Lake Erie so I could look at the sunset every night. I was the editor of the Cleveland Free Times, which was bought by a chain. So, I moved on to do something to help the neighborhood. It took a lot of sweet talking with the banks because no one wanted to support a concert venue in North Collinwood. What did you do prior to The Beachland? I helped found the Cleveland Free Times and was a writer, editor and production manager. I also ran the production department at Northern Ohio Live. 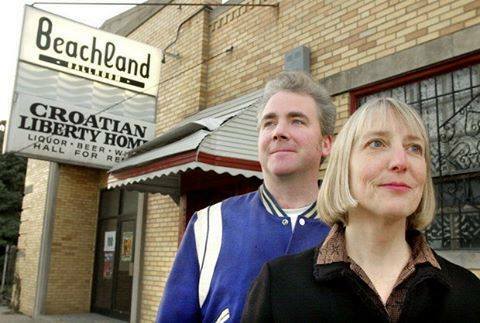 How did The Beachland Ballroom get its name? Euclid Beach Park, an amusement park from 1894 to 1969 operated in the area less than a half mile north of the building. 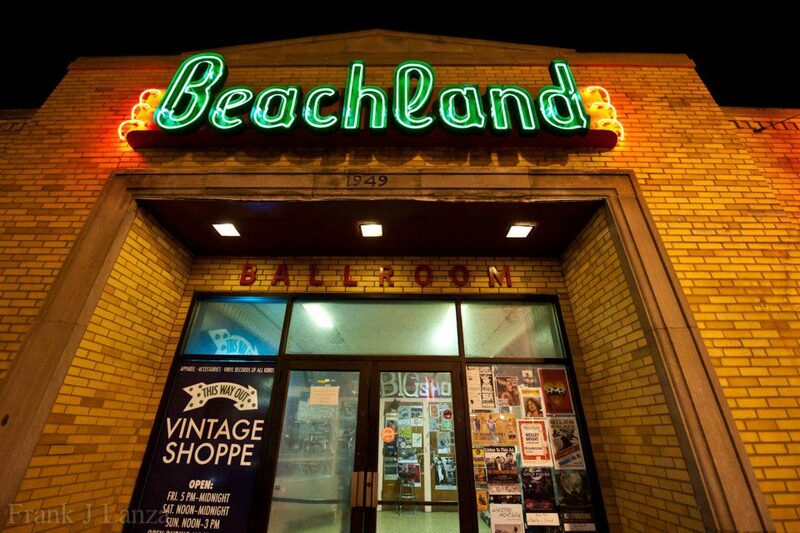 The term “Beachland” became slang for the North Collinwood Neighborhood at that time, and the venue was named in homage to the era. Why did you locate in Collinwood? I’ve lived in Collinwood since 1986 and wanted to do a destination location in my neighborhood with the hope of heading off some of the crime starting to happen. I also knew that I couldn’t afford to open a place in the Flats or downtown. I found this former Croatian hall, brought in a sound man who said it could be a good club, approached Mark Leddy, who was booking bands at Pat’s in the Flats, to be my partner, and the rest is history. How do you pick which musical acts to host? My partner does most of the booking now. After 18 years on the map, booking agents who represent talent reach out to us, and we trust them to give us quality artists for reasonable prices. How many acts have come through The Beachland to date? Within three weeks of being open, the White Stripes played the Beachland. Mark booked a lot of garage rock that first month, and we were off to a good start. Since then, I would estimate that close to 30,000 bands have played The Beachland because, on average, we book three bands per night in each room five nights per week. I like music from the 60s – singer-songwriters like Carole King, Van Morrison and Springsteen. The first time we sold out the ballroom for the Black Keys. We helped them get started with their first manager and booking agent. They’re from Akron and played their first show ever at the Beachland. Not losing money on the acts. In our industry, the average profit margin is 1 percent. We can lose $3,500 in one night if we only sell 100 tickets. We have to pay a guarantee to a booking manager for different amounts such as $5,000, $10,000, etc. In Cleveland, there are more concert venues than ever and free outdoor festivals. We have the same number as Chicago, but they have more people. And, people still are afraid of the neighborhood. Things have changed here. It’s a grassroots Renaissance with a diverse community participating in the arts. 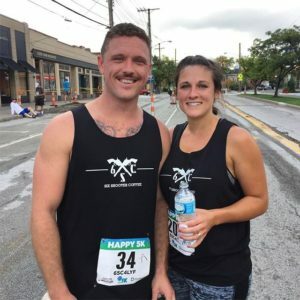 This community is full of creative people who are trying new things, such as nonprofits and helping kids. People need to see the full scope of the neighborhood, and we need more support and participation. 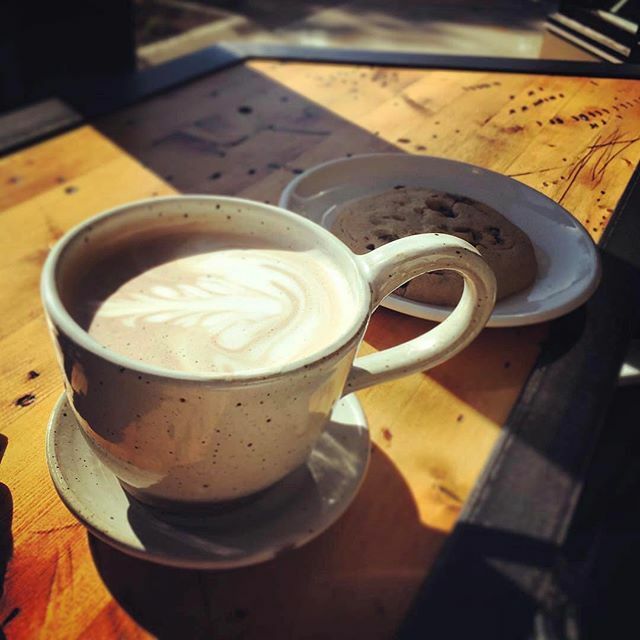 I want to get the neighborhood to support Waterloo and all of its organizations. All of the businesses can use clients and would appreciate your patronage. I hear that you are involved in many ventures in the community including airbnbs. Tell us about some of your side projects. I started a nonprofit called Cleveland Rocks: Past, Present and Future, which is a gallery specializing in music memorabilia. We hope to have rehearsal space in the former bowling alley next to the Beachland that we just purchased. 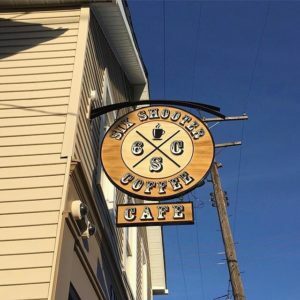 We currently are looking for funding and donations to create a music incubator space with a black box video recording component to teach high school and college students how to create content for bands at reduced rates and also to capture live recordings from the Beachland. I try to help people who are moving into the area looking for available space. I own one Airbnb and manage two others. What do you do when you are not working on these projects? My dog goes to the office with me. My boyfriend is a big help to me all the time. He has sailed since he was a child; so, we bought a sailboat. I met him at the Beachland, of course, when his brother brought him to a show.